What is Mafia Wars Autoplayer? The Mafia Wars Autoplayer is a script that automatically runs through the game so you don’t actually have to play. It is said the script makes it easier for you to win fights, which will strengthen your player and help you level up faster than playing the game manually. The script is available for free, and can be installed in your browser with just a few clicks. It is worth noting that Zynga does not advocate the use of this to play through the game and may even disable your account if you’re caught using it. The autoplayer script is available from UserScripts.org. The script is available under the General Public License (GPL). Under General Use, anyone can distribute the code and/or modify it under those terms. As it is freely distributed, there is no warranty to protect your computer from damage as a result of its use. To install the autoplayer, you must first install the Greasemonkey addon for Firefox. One the Greasemonkey addon is installed, you should install the autoplayer script, by simply clicking the "Install" button on the autoplayer webpage. This will allow Greasemonkey to store the script, and then automate the process when you’re ready to play the game. *When you download and install Greasemonkey, Firefox must be restarted.There is a version available for Google Chrome, however, there is no support for Internet Explorer. You must use either Firefox or Google Chrome in order use the autoplayer script. After you’ve installed both Greasemonkey and the autoplayer script, the next time you load Mafia Wars, your interface will look just a little bit different. Now, you’ll see an extra menu option: PS MWAP. This is where you can configure the autoplayer settings that determine how the script will play the game for you. You can set many different variables of the game, and the list of settings is rather complex. Going in depth in the settings is outside the scope of this article, but we’ll give you a brief run down of what you can do with it. General: This controls the general settings of the game in terms of how often you want to refresh and how long you want to pause between actions to make game play appear more natural. 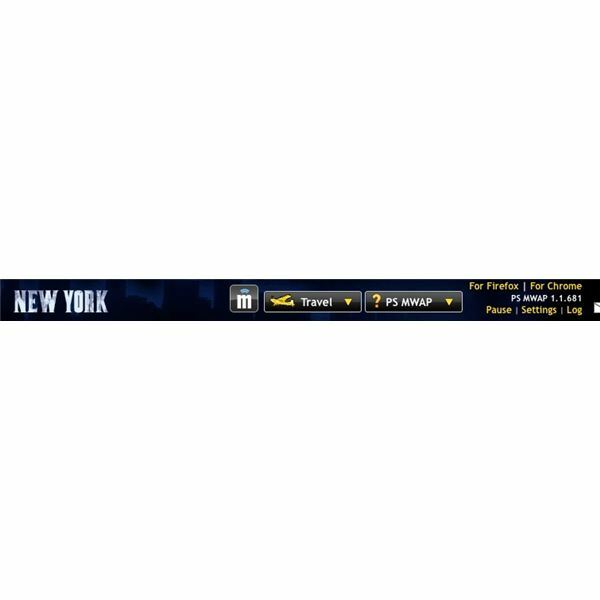 Display: This is where you see and control the log of player actions, and other features of the home page of the game. Mafia: This is where you control the auto-acceptance of mafia wars requests and auto-publishing of certain tasks. Autostat: This is where you set the automatic controls to upgrade your player stats. Energy: This is where you set how you want to spend your energy–even choosing specific jobs to master before others. Stamina: This is where you control how your stamina is spent–to fight, rob, or collect from the hitlist. Health: This is where you choose to heal, how often you choose to heal, and whether or not you want to hide in the hospital. Cash: This is where you control the auto-upgrade of properties, taking your money from any and all cities, banking, and vaulting. Beyond the settings, you’ll see options to choose for Firefox, Chrome, and revert to previous. You’ll also see links to other websites and bookmarklets. These are more or less just advertising from the script creators and are not necessary to the automatic game play. *If you use the Zynga Toolbar, the script will not load from there. To circumvent this, I simply load it from the toolbar to claim my bonus, close it, and open from Facebook’s link. Images in this article are screenshots taken from my personal gaming account after the Autoplayer was installed. The autoplayer has since been removed and I have resumed normal gameplay.